The sharing economy has made life’s annoyances a little less irritating. In the old days, you would hail a cab on the street and pull out a $20 bill to pay the driver. Today, you find a Lyft nearby using a smartphone app, and the app just charges your credit card, which is on file. No muss, no fuss. But the backbone of that seamless user experience is a third party you never interact with at all. Stripe, based in San Francisco, has staked out its spot as the easiest way to make any kind of payment to anyone, anywhere in the world. That’s a lofty goal—but the company, which turns two years old on Monday, is well on its way to achieving it. Stripe already powers the sharing apps that avid techies use daily, including Exec, Homejoy, Lyft, Postmates, SideCar, and other 21st-century marketplaces. It recently signed on as one of the partners provididing the infrastructure for Facebook’s e-commerce experiment . Next up: the brave new world of global finance. Irish brothers John and Patrick Collison began working on Stripe in 2009. Like most startups, Stripe was born to solve a personal problem. The Collisons had developed apps before, and had struggled with the payment processing that would allow them to rake in revenue. There were two options, John Collison says: PayPal or a bank. So they decided to build Stripe, an infrastructure that stores users’ credit card information, processes payments, and then pays out to companies every seven days. Stripe offers developers a set of APIs to place on their sites or in their apps that put Stripe in charge of their cash. Stripe takes 2.9 percent and 30 cents of every transaction. Once Lyft has your credit card info on file, you can pay for your rides with the tap of a button. Stripe makes that possible. Before Lyft started using Stripe, one of the ride-sharing company’s employees was in charge of logging in to a bank account and sending payments to each Lyft driver. This was not a fast process, and as Lyft found more drivers to give more rides, that workload would only increase. 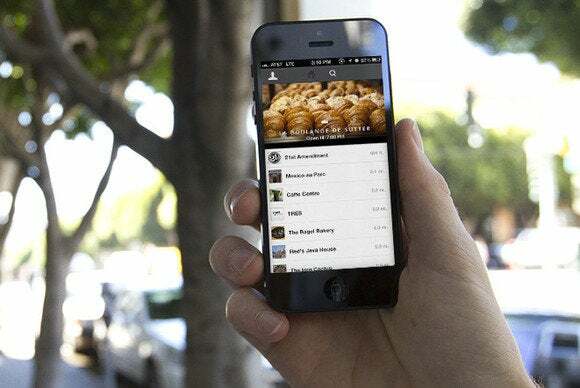 For apps such as Postmates, the process is a bit more complicated. When you place an order on the Postmates app, it arrives within an hour. Seems easy enough, but on the back end your payment has to be split among the courier, Postmates, and the retailer or restaurant that supplied the goods you bought. It was a chicken-and-egg situation: Sharing-economy startups began using Stripe because the cash distribution possibilities were endless, and Stripe started adding more features because the company noticed those startups gravitating toward its service. 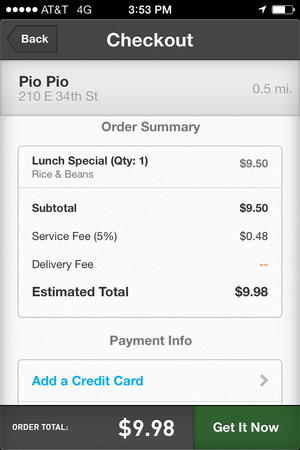 Your lunch order seems simple, but that $9.98 has to be split three ways—in just seconds. Postmates launched 18 months ago with Stripe built in from day one. Stripe added a feature for Postmates that allows the company to pay couriers immediately after Stripe processes each customer’s credit card. That isn’t such a big deal for users, but it keeps the bike messengers who carry all those deliveries happy. Happy bikers, happy customers. Sharing-economy startups have made no secret of their international expansion plans, and Stripe is right there with them. Stripe is now available in Canada, the United Kingdom, and Ireland, and the company is beta-testing operations in Australia, Belgium, France, Germany, and Spain. Changing currencies is easy—Stripe has offered that feature for a while now. But each country has different ways of doing business, a whole new set of financial regulations, and varying cultural views about money. Plus, Collison says, the sharing economy in Britain isn’t the same as in the United States. Stripe plans to establish teams and outposts abroad to learn the ins and outs on the ground. 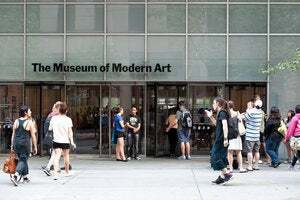 MoMA is one of the larger institutions to use Stripe. But Stripe isn’t just focused on the sharing economy, or on startups. The company already counts Blue Bottle Coffee, New York’s Museum of Modern Art, Pebble, and Vice among its clients, with bigger brands signing on all the time. The fast-talking Collison has no doubts as to whether Stripe and its 70 employees can scale to match the size and scope of his ambitions. This story, "How Stripe, a company you’ve never heard of, powers the sharing economy" was originally published by TechHive.